Estate litigation often involves Contesting a Will in probate court. How to contest a will in Texas depends on the facts of each situation. Sometimes a Last Will and Testament is invalid because there was fraud, undue influence, or a lack of mental capacity. 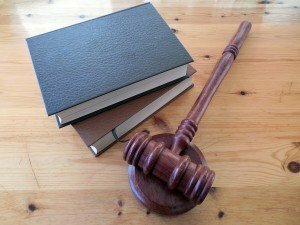 If you have doubts about whether or not a will is valid in Texas, talk with a lawyer at a free consultation about your potential estate dispute. Shutt Law Firm also represents clients who want to defend the validity of a Last Will and Testament. If you have concerns about the actions of a power of attorney or a legal guardian, you may have a case for Power of Attorney Abuse. A guardian or agent acting under a power of attorney owes a “fiduciary duty.” This means the agent owes a high responsibility, and Breach of Fiduciary Duty occurs when an agent acts improperly. Shutt Law Firm handles Texas Breach of Fiduciary Duty cases, called fiduciary litigation. Trust Disputes often arise when a trustee fails to follow the terms of the trust, mishandles trust property, fails to provide a trust accounting, or otherwise breaches the fiduciary duty of a Texas trustee. Similar to a will contest, a person may need to contest a trust. A trust contest in Texas often involves the same legal arguments as a Will contest in Texas: lack of mental capacity, undue influence, fraud, and improper execution. If a loved one has a legal guardian or needs a legal guardian, you may need a lawyer to represent you. A Guardianship Dispute may arise when family members disagree about whether a guardianship is needed, when you want to challenge the guardian’s actions, and when the guardian has been involved in elder abuse, breach of fiduciary duty, or mistreatment of your loved one. Shutt Law Firm’s lawyers help clients in Dallas County Probate Court, Collin County Probate Court, Tarrant County Probate Court and Denton County Probate Court with estate litigation, contesting wills in Texas, disputing a trust, contesting the executor, and breach of fiduciary duty. Contact Shutt Law Firm for a free consultation to discuss your needs. Probate attorneys Isaac Shutt and Peter Hall will provide a no-obligation consultation at the law office, which is north of Dallas in Richardson, TX.